The SLC is a very affordable single or dual clock 7 GHz synthesizer that exhibits outstanding phase noise and jitter performance in a very small package. 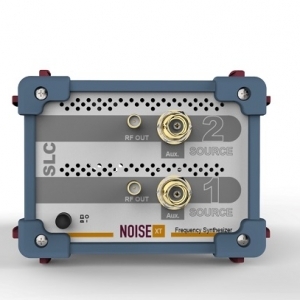 With -178 dBc/Hz phase noise floor at 10 MHz, the SLC is the lowest phase noise compact clock synthesizer of the industry that can help you challenge tomorrow’s requirements for high speed, high bandwidth Software Defined Radio applications (SDR) and low phase noise PLL and DDS synthesis. Its high power output is ideal to drive mixers’ LO inputs or high-speed digital clocks. Its very low jitter profile makes ADC and DAC testing more accurate. This source is often cleaner than a crystal oscillator and can offer a high SNR, up to 135 dB. USB control helps you seamlessly integrate this tool in your test project or clock distribution architecture. Both synthesizers can be controlled completely independently and do not share any common reference frequencies. However, when coherent signals are required, they can be locked to each other with the help of their 10 MHz reference signals. A unique feature allows multiple SLCs to align their outputs when Phase Coherence is important. Not only they are phase locked in a conventional way like other signal generators but their precise phase relationship is always the same even if you have switched to another frequency in between two measurements. Optional ultra low phase noise OCXO allows the synthesizers to reach their best specification and if this is not enough, the external 10/100/400 MHz reference input/Outputs will extends its long term frequency stability (Allan variance) to the one of atomic clocks. The Noise XT PNG-A Phase Noise Generator/Calibrator is a high precision generator used in Test and Measurement instruments calibration. 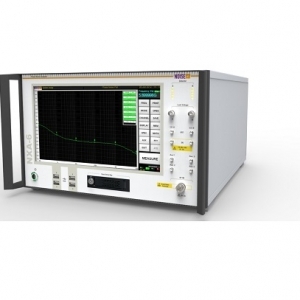 It is a Signal Generator with precisely computed phase and amplitude noise characteristics. With its wide frequency offset range, 1Hz to 1 MHz offset, and its programmable Phase and Amplitude noise in real time, this is the ideal standard to calibrate Phase Noise Analyzers, Signal Source Analyzers and Spectrum Analyzers. The PNG-A can also be programmed in Random and Deterministic Jitter in order to test Oscilloscopes or even test clock recovery systems or receivers in the presence of noise or jitter. Much more flexible than traditional noise sources; the PNG-A allows the user to tailor the noise shape and its Phase and Amplitude distribution. 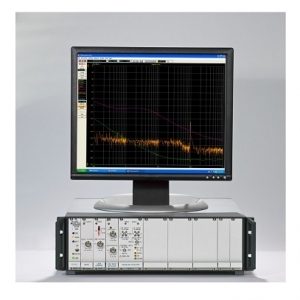 The Noise XT DCNTS is a two channel Phase and Amplitude Noise Analyzer. Its dual demodulator architecture allows the system to use cross-correlation to cancel its internal noise and limitation; it is like comparing the outputs of 2 systems and only display the similarities while rejecting differences. It is capable of measuring absolute phase or amplitude noise but also residual phase noise under CW or pulsed conditions. The input frequency goes from 2 MHz to 140 GHz. Residual noise testing is for devices like frequency multipliers or dividers, amplifiers or any other phase coherent input to output device. 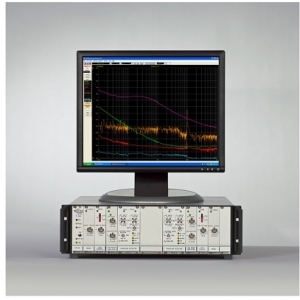 The Noise XT DCNTS is capable of measuring frequency translating devices like pre-scalers or frequency multipliers. 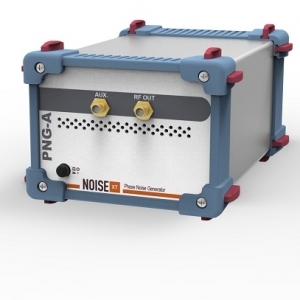 The Noise XT Model PN9000 is a simple and fast Automatic Phase Noise Test System covering a very wide frequency range. Its modular architecture allows optimum configuration, multiple measurement techniques and future growth in a NIST tested instrument. The NXA is a fully automated Phase Noise Analyzer. Its dual channel architecture allows the system to use a cross-correlation process to cancel its internal noise floor. This reliable technique provides access to the unique noise floor performance of the DCNTS. A completely new user interface based on the largest 14 inch touchscreen of the industry that simplifies the operation, focusing the user on the measurement result itself and not on the measurement technique. Experts can always access advanced settings if needed. Quick and easy phase noise plots can be obtained without any training so any manufacturing technician can operate the NXA Series. This is the only instrument that combines great ease of use and state of the art performance.